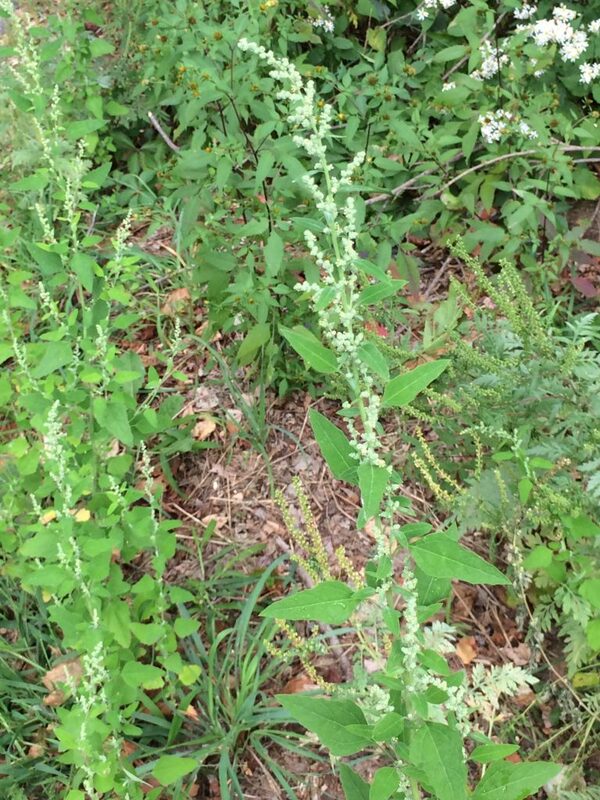 Chenopodium is a genus of dicotyledonous herbs covered by small white inflated hairs (farinaceously pubescent) or sometimes glabrous (Clemants and Mosyakin in Flora of North America). Red pigments are betalains rather than anthocyanins. Leaves alternate, simple, no stipules. Chenopodium album flowers. www.kuleuven-kulak.be (Accessed 1/2018). 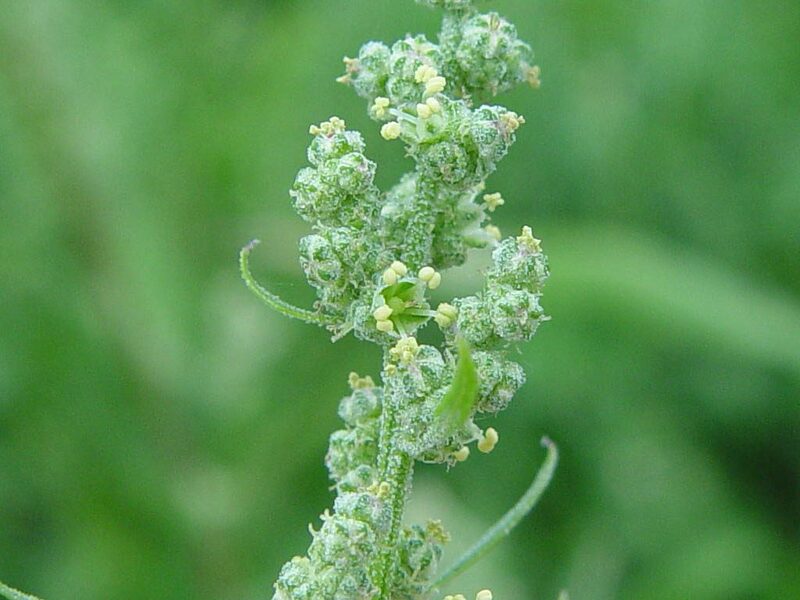 Flowers green to reddish, radially symmetrical, very small, no petals, calyx usually 3-5 parted, lobes mostly blunt, curved over superior ovary, stamens same number as sepals; inflorescence mostly of small, head-like flower clusters, in spike-like or branched arrangements. 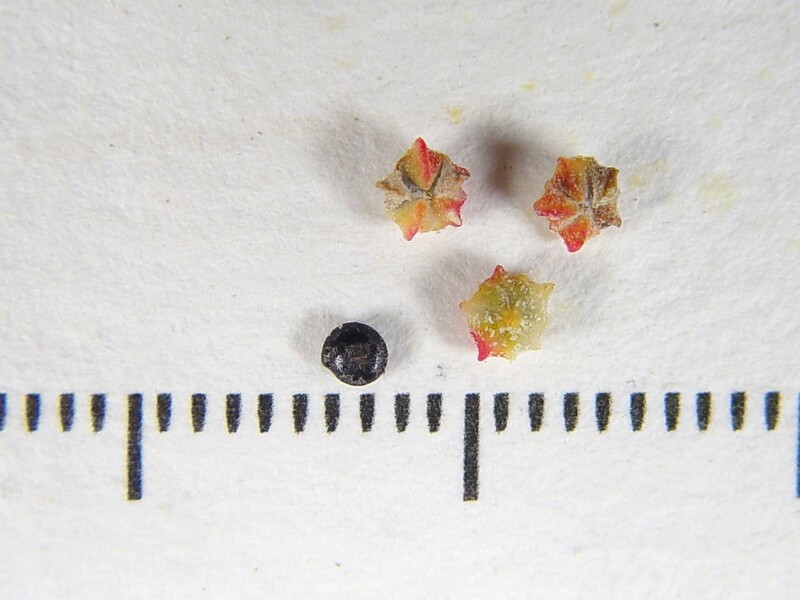 Chenopodium album fruit and seed. Donald Cameron.New England Wild Flower Society.gobotany.newenglandwild.org (Accessed 1/2018). Fruit dry, thin-walled, 1-seeded, surrounded by persistent calyx.